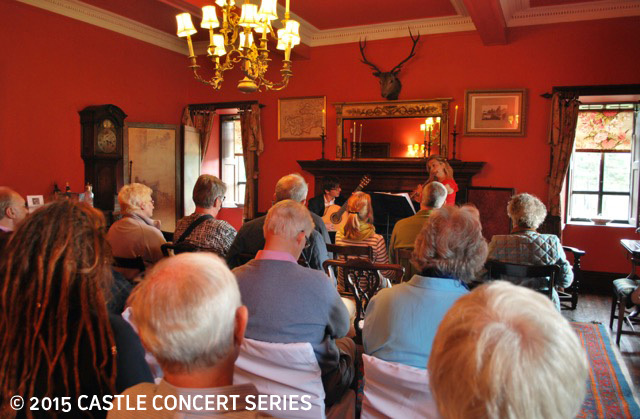 Book tickets directly on the Pittenweem Arts Festival website pittenweemartsfestival.co.uk. 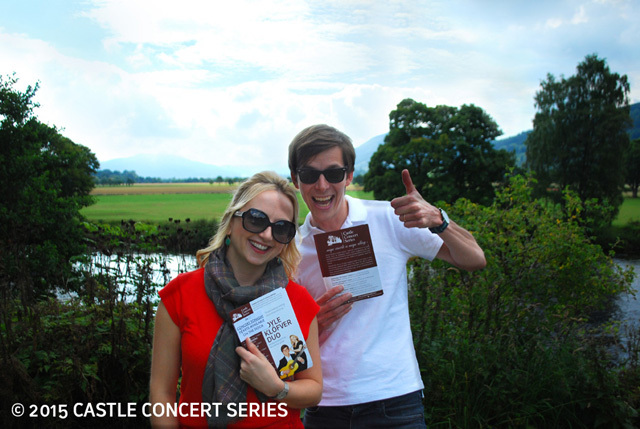 Tickets are the £15, which includes a complimentary drink on arrival. 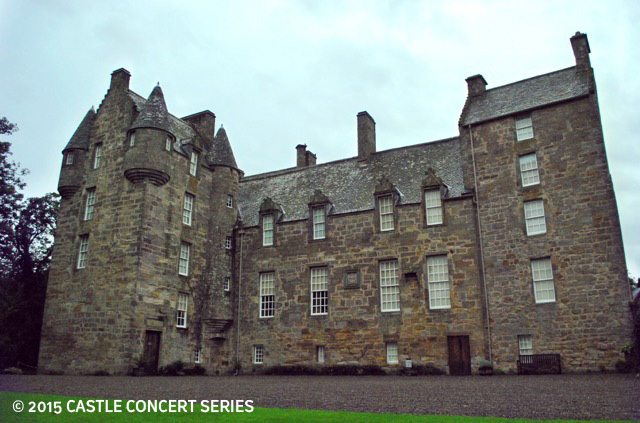 Doors at 7:00pm, concert starts at 7:30pm. 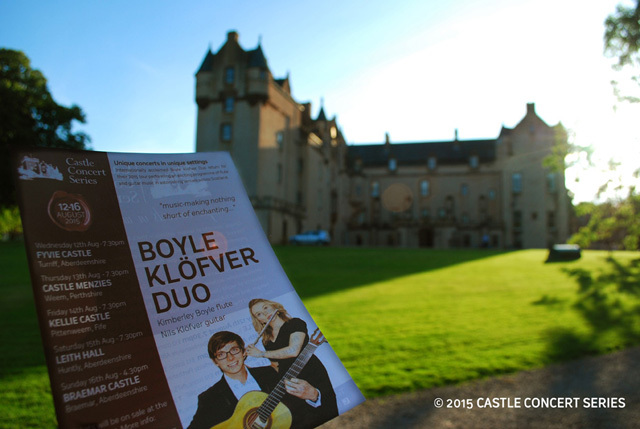 "This duo have the enviable skill of making what they do appear effortless"
"The rapport between the performers was evident throughout"
"The balance between the two instruments was superb"
Unique concerts in Unique settings is what the Castle Concert Series is all about. Please see this film with clips from the inaugural season. 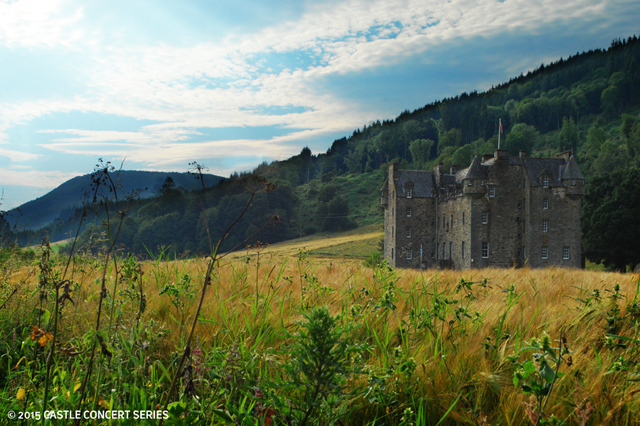 Unique concerts in unique settings – that's the cornerstone of the Castle Concert Series. 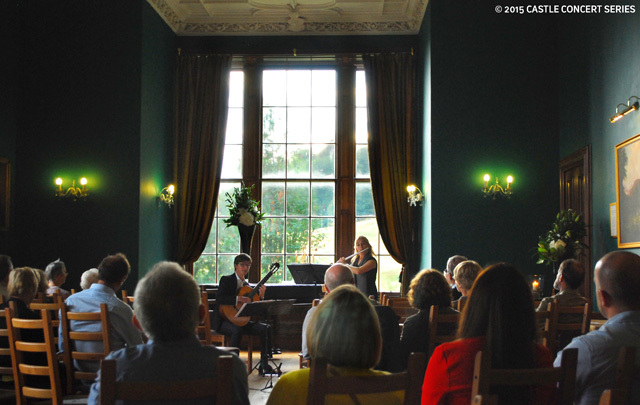 By handpicking venues, careful programming of repertoire and well presented introductions to each piece, we create an intimate ambience where music and space come together, to give the audience an experience above the ordinary. 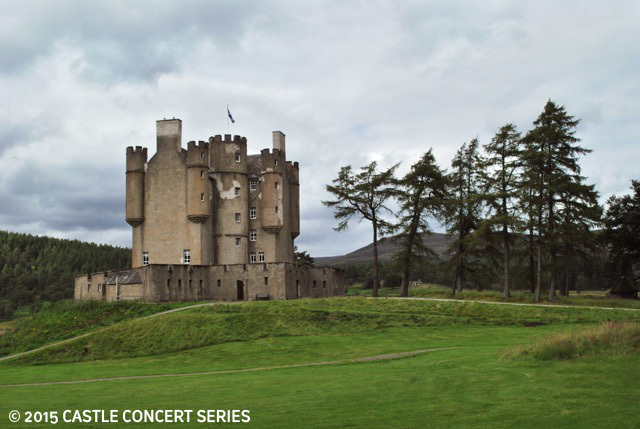 Now in its 5th season, Castle Concert Series invites Scotland's premier clarinet ensemble to tell the story of the clarinet from a truly global perspective in virtuosic performances on clarinets of all sizes! 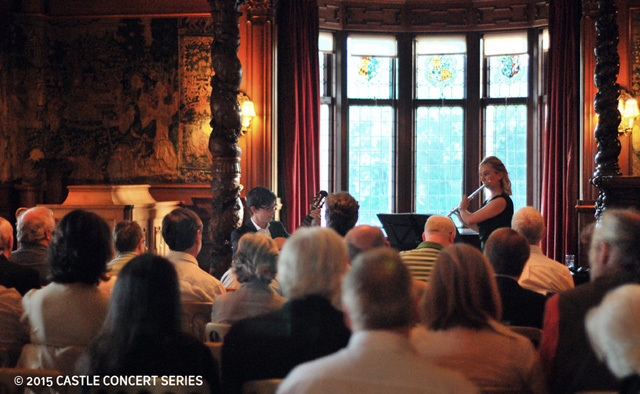 Featuring the quartet's well established concert format of original compositions, commissions and little-known arrangements, the Scottish Clarinet Quartet will take you on a thrilling musical tour from Mozart, Piazzolla & Benny Goodman, to African Highlife via Indian Raga and contemporary Australian sounds, without neglecting Scotland's own musical traditions, of course. 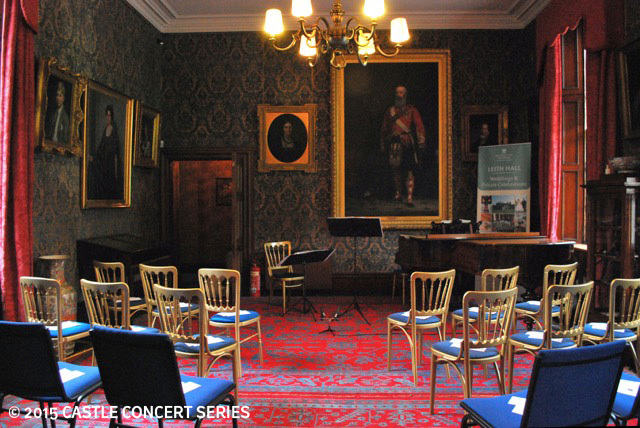 Join Scotland's premier clarinet ensemble for the story of the clarinet told from a truly global perspective in virtuosic performances on clarinets of all sizes! 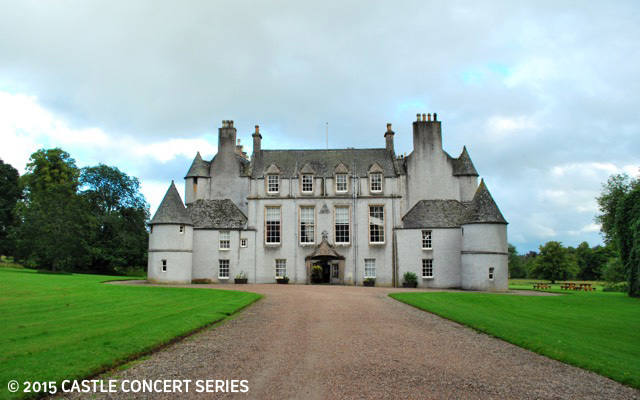 Featuring the quartet's well-established concert format of original compositions, commissions and little-known arrangements, SCQ will take you on a thrilling musical tour from Mozart, Piazzolla & Benny Goodman, to African Highlife via Indian raga and contemporary Australian sounds, without neglecting Scotland's own musical traditions, of course.